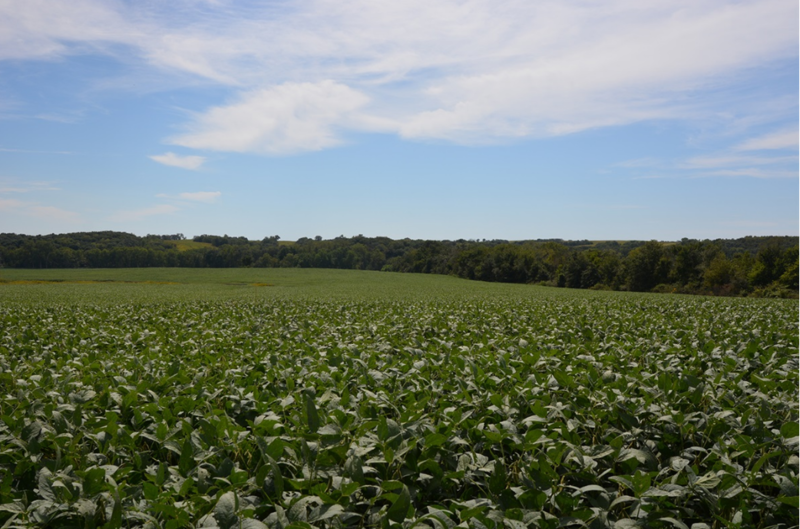 ALBANY, Missouri (Oct. 18, 2016) — Approximately 1,940 acres of agricultural land in Missouri’s Gentry and Worth counties will be offered at auction Nov. 30, with Murray Wise Associates marketing the land and conducting the auction. The land will be offered in 21 tracts, ranging from 29 acres to 306 acres. “The owners have done a lot of work to improve this property, and we’re offering it in tract sizes that will enable local operators and investors alike to acquire the tracts that best suit their needs. Bidders can buy a single tract, or those who are seeking more acreage may want to consider bidding on groups of tracts,” said Kenny Schum, who is managing the auction for Murray Wise Associates. “By grouping some of the tracts, bidders can have up to 490 contiguous acres of mostly tillable land. In other locations, tracts can be combined for approximately 341 acres or 386 acres of contiguous land. All of these tracts are located within a five-mile radius,” said Schum. Schum said some tracts will also be of interest to those seeking recreational land. “We have a number of ponds, and there are some nice wooded areas where hunters can enjoy game including deer and turkey,” he said. Auction representatives will be available November 2 and Nov. 10 to provide detailed information and accommodate inspections. The auction will begin at 10 a.m. Wednesday, Nov. 30, at the Albany Community Center, 200 West Rigney Street, Albany, Missouri, 64402. Individuals seeking additional information may visit www.murraywiseassociates.com or call 800-607-6888. Murray Wise Associates LLC, headquartered in Champaign, Illinois, is a leading national agricultural real estate marketing and financial advisory firm, with additional offices in Clarion, Iowa and Naples, Florida.